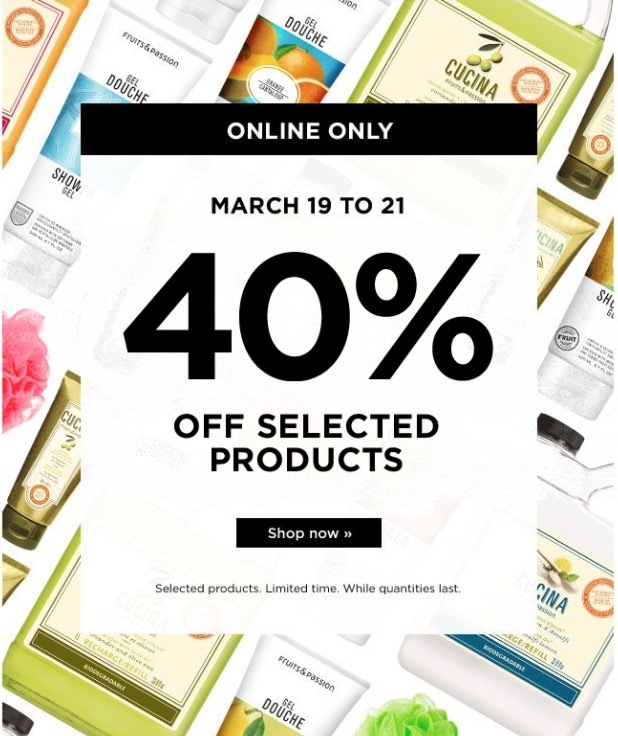 Fruits & Passion Canada Sale: Save 40% off Sitewide! Fruits & Passion Canada has a great sale available online only that includes: Save 40% off Sitewide! Enjoy 40% off selected products online only. This offer is valid from today, March 19, 2018, until March 21, 2018. Valid while quantities last. Excludes promotions, sales, olive oils and products from the Lavender Essence fragrance.